Although it would appear a luxury option in many other countries, buying a car to travel in is actually a cost effective option in New Zealand. With the mass import of Japanese cars, you can pick up a reasonable runner for around NZ$2000– NZ$3000. This, in conjunction with cheap petrol and insurance, means you can get a car between a group of you and get off the beaten track! On top of that, most cars are sold at their lower prices. Therefore, most of the time, you will sell it back at almost the same price than you bought it. We would only recommend buying a car if you are going to be here for longer than two months.That’s because if something goes wrong, you might end up spending the whole holiday in a garage or lose lots of money. When you buy a car you’ve got to take into account that it may break down or you may not sell it for as much as you hope. Do not pay any more than you’re willing to lose! If you’re arriving in early summer with the intention of selling at the end of summer, be aware lots of other people want to do the same. However, it works well for most travellers and is very cost effective. 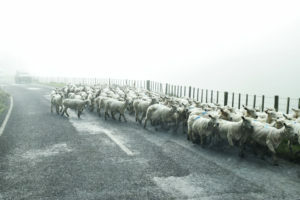 In fact, it is the most popular way to travel around New Zealand. The main places to buy a car by having the biggest choice for the backpacker budget, are Auckland, Wellington and Christchurch. However, you may find a cheaper deal out of town even on cars that have not been round New Zealand twenty times already! On arrival in one of these cities or towns, do a quick scout of the local area and visit places, such as supermarkets and hostel notice boards, local car shops, garages, outside hostels and hostel receptions. Then grab the local paper and check the classified adverts, which usually have listings of cars for sale. Other backpackers you meet can also be a great source of information as they may have heard of friends selling, for instance. There are a variety of ways to buy a backpacker’s car in New Zealand – notice boards, private ads in papers, roadside sales, car auctions, car fairs and obviously car dealers. Car fairs take place in most of the main cities, so ask when and where to go at your local backpacker hostel. Ellerslie Car Fair is a great place to start in Auckland and takes place every Sunday morning between 9am and 1pm. How and where you choose to buy your car could be based on your actual practical car knowledge. Car auctions are probably the cheapest but you have to know what you’re doing, whereas dealers will help you much more and maybe give a warranty. The latter option will obviously cost you much more. We do not recommend purchasing a car from the Backpackers Car Market on East Street in Auckland city without getting an independent mechanical check. They have had some very bad press in recent times even appearing on New Zealand’s “Fair Go” TV programme. The Warrant of Fitness in New Zealand is similar to the MOT in England in that it checks that your car is fit and safe to drive on the roads. The WOF test usually costs around NZ$50. The date of the next WOF is displayed on a sticker on the windscreen on every car in New Zealand. Check that this sticker is still valid when you are considering buying the car! If you are only here for a few months then we would recommend getting a car whose WOF runs our after you leave, as WOFs can be very costly if something is wrong. A good tip: when you find a car you like, get the seller to go do a WOF in a place you choose, and you pay for it. You may lose NZ$50 if the car doesn’t pass, but at least you have peace of mind. What to check when buying a new car in New Zealand? Rust is a major reason for cars failing their WOF. Once rust has overrun a car, it can be very expensive and difficult to rectify. Especially check around the door hinges, and overall, check that the majority of the car is rust free. Be wary of cars that have been left sat for a long time as rust could have easily set in. Oil leaks into the engine will eventually mean the end of it. To check for oil leaks, get someone to stand behind the car and give it a good hard rev. The more black smoke that comes out of the exhaust the more leaks you have. Be aware of people putting oil thickener into their engine before selling it. It will keep the black smoke down until you start using the car! When checking the car, take it round the block then check the smoke levels again. Check for broken headlights and cracked casings, as these will make you fail your WOF. If you can’t find one cheap at a scrap yard, it can be expensive to get replaced. Listen to the engine. Does it turn over and tick over smoothly – not spluttering and waling? Check the oil – is it new (looks like treacle) or old (black as coal)? Take the car up a hill and check engine strength. You’ll definitely need to do this because there are some big hills in NZ! Listen for “pinking” or a metal tapping noise as the engine strains to get up the hill. This is where the engine isn’t firing properly usually caused by bad timing. Make sure the headlights work in dipped and full beam. It’s illegal to drive without them at night and the bulbs can be expensive to buy. Does the car pull to the left or the right as you drive? Do you have to turn the steering wheel to go in a straight line? This can be a sign of a damaged or worn axel and is very expensive to replace! Ask about the history of the car, such as when the car was last serviced or things recently changed such as the cam belt. If you’ve got some extra cash it might be worth getting a service to help the car last for the whole trip. If the car has just got its WOF, ask if the inspectors found any growing problems. An immediate flat “no” is a reason to get suspicious and double check. This is road tax and is displayed on the windscreen of the car. “Rego” (it’s little name) can be renewed at post offices. Just take along your old slip, which will be on the window of the car. You can purchase 12 months licensing for around NZ$280. However, you can also choose to buy 3 months or 6 months rego for less. Once you arrive in NZ, one of the first things you will notice is that diesel is much cheaper than petrol. All diesel cars are subject to road user charges whereas petrol cars are not. This means that in addition to the Registration you must also purchase kilometers per 1000km. Check the cost of this at your local post shop. This means that although diesel is far cheaper than petrol to purchase, the extra road user charges means the real benefit of owning a diesel is a little less than it first appears. To be clear: diesel cars are in fact, more expensive to travel with. For peace of mind, you can get your car checked out by the AA (Auto Insurance) or a local mechanic. It costs NZ$120–NZ$150 but if you’re going to spend a lot on a car/van its worth knowing you’re not being ripped off. If you get an old banger checked, be prepared for some crosses on the check sheet! An alternative is to just get a safety check down at a mechanics – you don’t want those brakes disappearing on you! To book a vehicle inspection with the AA, ring 0800 500 333. It will also confirm the current legal owner so you can be sure you are dealing with the correct person. Car history checks can be bought instantly online. You are not legally required to have car insurance to drive a vehicle in New Zealand. However, we recommend you purchase at least third party car insurance that will cover the people that you injure. If you have an accident and you don’t have insurance, you will be liable for the repair costs of the vehicles involved. Many insurance companies will not insure for a period less than 12 months and offer no refund for unused periods. One insurance option, which many of our members have found useful, is QBE insurance. This is available through our travel desk and is aimed specifically with backpackers in mind. 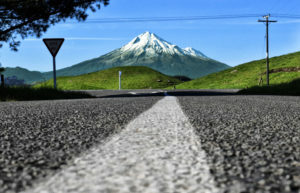 You must carry a valid international driving licence with you at all times whilst driving on NZ roads, as the police can issue you with a fine if you don’t. Just ask us how to get a New Zealand driving licence. It’s affordable, quick and a fun souvenir. 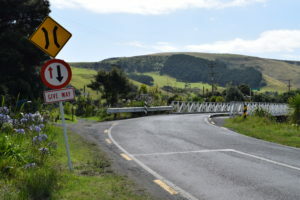 Make sure you read up on your New Zealand Road Code. Ensure your vehicle has a WOF and Registration. Get a pre purchase mechanical check done. Do an online history check. Make sure you have an international drivers licence or an English version of your overseas licence. Have enough money for repairs and parts. Have at least third party insurance. If you are not 100% sure, keep looking.